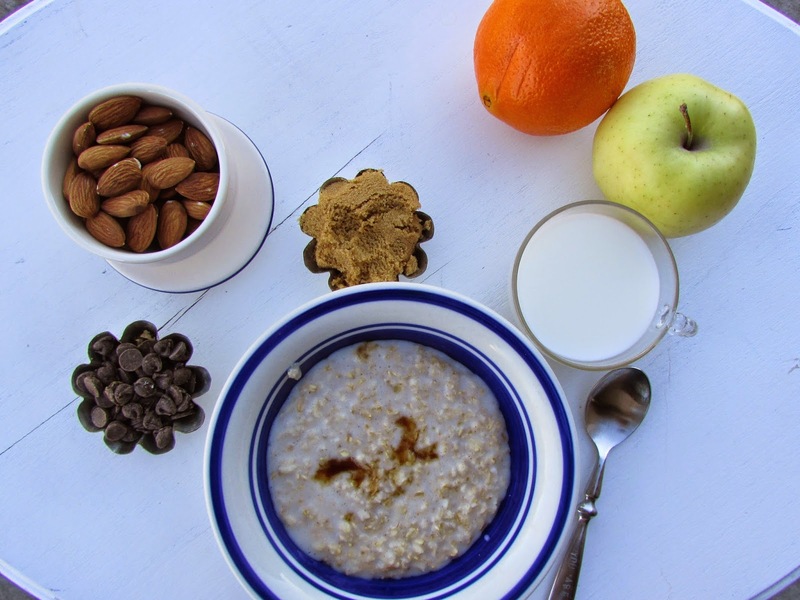 We eat oatmeal for breakfast at least once a week all year round. More often in colder months. It took me a little while to find the perfect recipe to allow us to use whole ingredients (none of those oatmeal packets for us, please!) and still enjoy the speed and ease of a quick morning meal. This is my favorite healthy, quick, cheap recipe. One of my favorite things about this recipe is that it's easily scaled up or down depending on how many mouths you are feeding. My other favorite thing is that my kids all gobble this up whenever I make it. We rarely have any leftovers. Happy, full bellies lead to happy mornings! 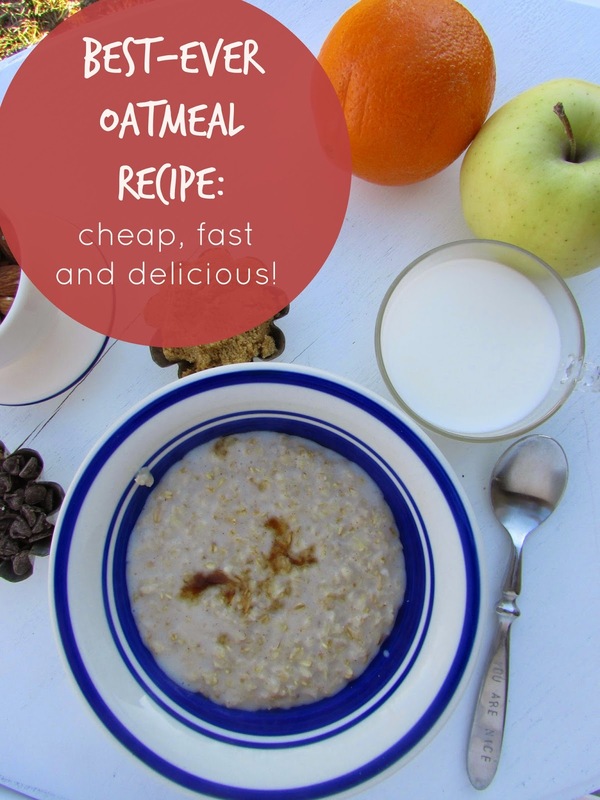 *Equal parts oats (we use whole rolled oats), water and milk (almond milk/soy milk would work well, too). To feed myself and my 3 kids I usually use 1.5 cups of each. Place all ingredients in a saucepan and cook over medium heat, stirring constantly for 3-5 minutes. We usually add an extra splash of milk to help cool down the oatmeal a bit. My favorite combination right now is a spoonful of peanut butter and spoonful of honey with half a banana sliced on top. My kids love to add about 5 chocolate chips, honey and coconut.